So it’s undoubtedly BBQ season, and actually having space to BBQ in has meant I’ve taken advantage of it a fair bit this year. With friends round I feel a bit self-conscious whipping out the note book and sticking my nose into a glass of beer and prattling on about honey and citrus and rum, or whatever… So I’ve sampled a few recently and not taken notes. 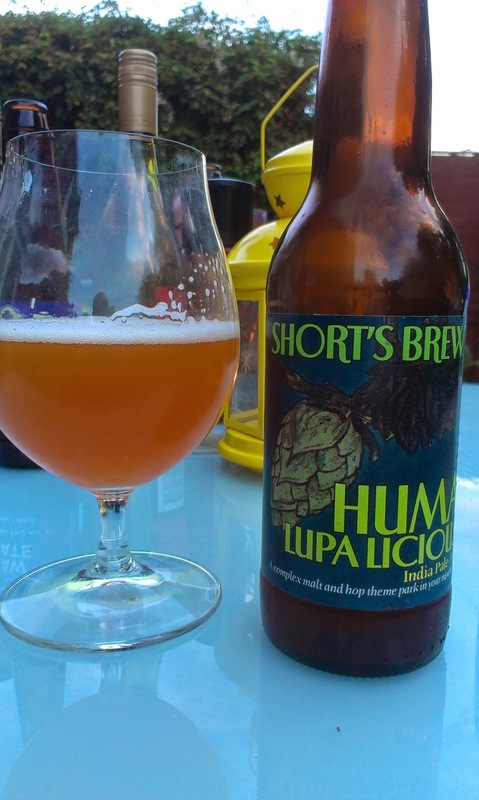 Of these I did enjoy Short’s Brewery Huma Lupa Licious (again donated by a kindly friend who brought it back from the states) which from memory was fresh as a daisy, grassy with citrus and pine, but not overdone. Of the rest, not much stands out (Delirium Red was decent, Trouble Brewing Sabotage drinkable if not overly exciting, etc). Description: First off I love these big bottles with a cork and cage top. The beer poured a light golden colour with a lively white head. Big funky yeast aroma, along with wheat, spice, and some banana esters. There is something slightly German wheat beer about this, and the banana and wheat carry over into the flavour – but there is more funky yeast here than in the Germanic version. Quite light bodied and easy drinking for 6.5%. Thoughts: It wasn’t the first beer I’d tasted that night so it might not have been the fairest test, but the beer was decent without ever really being exciting. Not something I’d rush to but if offered I certainly wouldn’t refuse. The dubble was better for me. Description: This one poured quite a strong yellow; it was cloudy with a big fluffy white head. A lemon blast kicks off the aroma, with the wild yeast doing its funky sour thing, and finally there’s a hint of something herbal at the end. Taste again starts out lemon, with a whack of lemon rind. There’s a hint of fizzy sweet sherbet, but it doesn’t overcome the overall tartness. Light bodied yet the fizz lends a creamy texture. 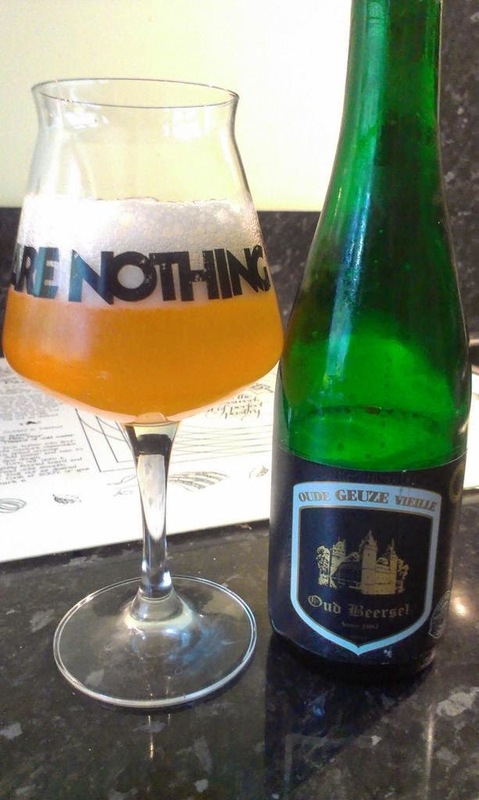 Thoughts: Ah now this was good, not as tart and sour as some but it remained refreshing but drinkable though-out. Lovely. Right, I'm off to another BBQ!